The Star Trac S-UBx upright bike carries a big price tag at $2,199. The console has a 4-character message window, Dedicated: Time, RPM, distance, heart rate, motivational track, course profile, resistance level. The 10 workout programs include, Burn Calories, Burn Fat, Calorie Goal, Distance, Goal, Fitness Test, Dynamic Heart Rate Control, and more. Upgraded from the S-UB model, the Star Trac S-UBx has additional workout programs and comes pre-wired for the optional Star Trac Entertainment Solution. 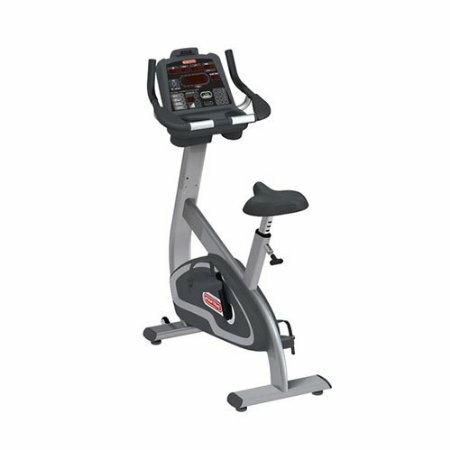 The upright bike has a custom steel frame, one-piece crank with sealed bearings, a two-sided ratchet straps on the dual platform pedals, and easy seat adjustment. It needs no external power supply, though an AC adapter is optional. Check out the Star Trac S-UBx Upright on Sale Now at Amazon! 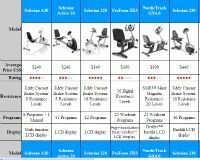 Exercise bike reviews are positive in terms of attractiveness and programming, but on closer look, the Star Trac S-UBx doesn’t live up to the Star Trac appeal. The company makes an outstanding Spin Bike called the Star Trac NXT, but their residential upright and recumbent bikes tend to be overpriced for what they offer. Users have remarked that the S-UBx doesn’t pedal as smoothly as it should for an upright bike costing this much, and that the feel of the resistance doesn’t seem natural. The Star Trac S-UBx upright bike is a decent model but nothing especially outstanding. If you intend to pay this kind of money for an upright, then research the Cybex 750C or the Life Fitness LifeCycle. Both are Best Buys in bikes ranging from $2200 to $2495. 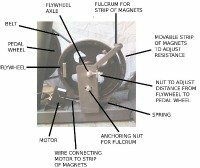 If you are going to spend this much money on an upright model, go with a LifeCycle.